Tom was my PhD advisor, and we have worked together in many parts of the world, studying warning signal evolution, mimicry and damselfly ecology. We still collaborate on a number of projects. Dan and I have common interests in warning signal evolution and selection on animal coloration. I work with Olalla on her exploration of the ecology and evolution of Ischnura hastasta, the sedge sprite damselfly, which has parthenogenetic populations in the Azores Islands--the only know example of parthenogenesis in the dragonflies and damselflies. Melissa and I have worked on several projects in recent years, including the systematics and population genetics of the petaltail dragonflies, the phylogeny of the Nesobasis damselflies of Fiji, and the systematics and wing color evolution of the Polythore damselflies, a topic that she has worked on both as a masters student at the University of the Andes in Bogota and as a PhD student in Jessica Ware's lab at Rutgers. Will and I have worked in collaboration with Melissa Sanchez Herrera on the Polythore damselflies. Will is a specialist on morphometics analyses and has done some amazing work quantifying the elaborate wing patterns of these damsels. He is currently a PhD student in Jessica Ware's lab at Rutgers. 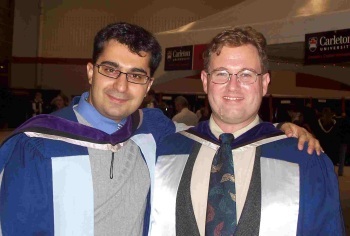 Arash and I were PhD students together in Tom Sherrat's lab at Carleton University (see the photo of us at our commencement in the gallery below). We have collaborated on projects looking at prey selection by dragonflies, locomotor mimicry and warning signal evolution, and also on the phylogenetics of the Fijian Nesobasis damselflies. Hans and I have worked together on the behavior, ecology and systematics of the Nesobasis damselflies. Jose and I have collaborated on a project investigating coloration in the damselfly Nehalennia irene. We have studied male behavior and the response of individuals to males of different color. 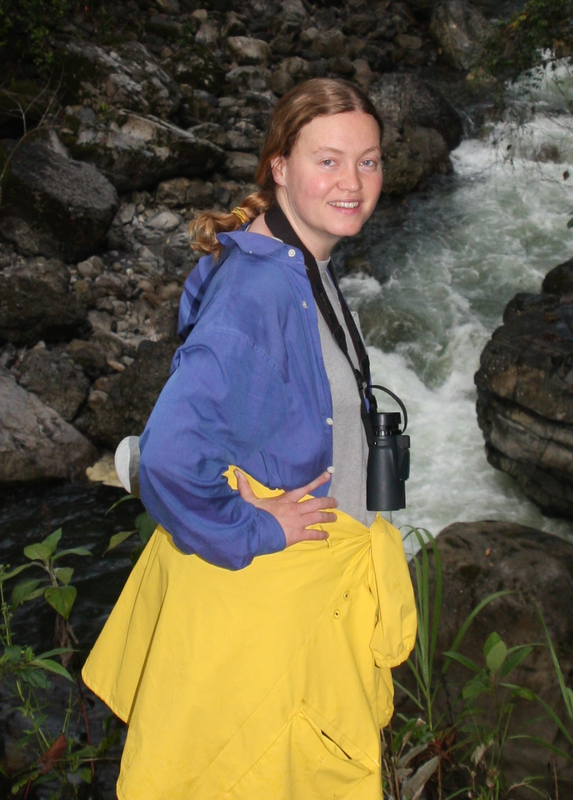 Judy was one of the advisors for my masters degree; we have worked on dragonfly diversity in riverine wetlands (my MS thesis topic) and are currently looking into diet analysis for aquatic insect and birds. Katie has been involved with a number of my projects, working with me in Fiji, Peru and the US. We have also been married for eleven years. Paul was one of the advisors for my masters degree; we have worked on dragonfly diversity in riverine wetlands (my MS thesis topic).